Raj Yoga Kriya Yoga Mission and its founder and Kriya Yoga Acharya Dr. Sudhin Ray welcomes all sincere seekers to enquire about and to avail Kriya Yoga Initiation. Please read this page to be familiar with initiation. Our Guru Lineage is continuous directly from Shri Shri Lahiri Mahasaya to Dr. Sudhin Ray. This is a traditional lineage of sincere householder Kriya practitioners. The inherent beauty is in conforming to the ideals of Shri Lahiri Mahasaya in the modern time. The initiation happens on First Sunday of Every Month during morning hours, in Uttarpara, District Hooghly, in Kolkata region of West Bengal. The address and exact date and time can be confirmed personally. Gurudev Dr. Sudhin Ray doesn’t travel outside for Kriya Initiation. You are welcome to come here and explore and get initiation if you resonate with this path. So, please don’t ask whether you can get initiation in any other city or about travel program for Kriya initiation. The PreRequisites for Kriya Yoga initiation are…. You can be new to Kriya Yoga path. Or you could already be initiated and somehow wants to explore more. Overall, sincerity and right attitude is only what is required. You don’t need to bring anything special. All that you would need is mindset and heartset. Other things can be bought very inexpensively from the market like Flowers, Haritaki fruit etc. Keeping the tradition of Lahiri Mahasaya, you offer Rs. 5 as Pranami offering and Haritaki fruit during Kriya initiation. There is no other charge. It is not a necessity but an advice, if you have gone through some books by us. 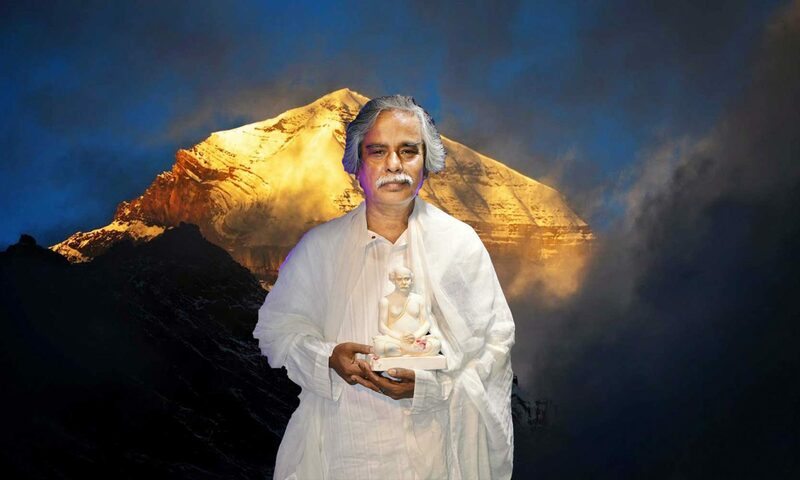 Adhyatamikta, Kriya Yoga and Atmabodh (in Hindi and Bengali) and Kriya Yoga Rahasya (A mix of Biography & Personal Experience of Shri Maheshwari Prasad Dubeyji, in Hindi and Bengali, with special emphasis upon Kriya Yoga Sadhana). The guidance will be in Bengali, English and Hindi. Kriya initiation is always one to one basis. The instructions can be given to a small group and individually. Almost always, this will be a personal experience for you. The final words are that if you are truly seeking experience of traditional and continuous lineage of Kriya Yoga Acharya, and you are after sincerely practicing Kriya, this will be one of the finest experience for you. Later, day by day, the blessings of Guru Parampara and your practice will make it sweeter and more focused life of Kriya Sadhana. As mentioned earlier, this continuous lineage of Kriya Yoga Gurus is of householder Yogis, who have their Sadhana, family and work life, following the footsteps of Shri Shri Lahiri Mahasaya. There is no big Ashram or organization as some might imagine. Almost all disciples are householders and some of them will guide you regarding your travel and other queries. Sure, this experience will be similar to the one that countless disciples have had with Great Householder Gurus in our lineage – Lahiri Mahasaya, Panchanan Bhattacharya, Nitai Baba and Maheshwari Prasad Dubey. Your attitude will matter here, as you will get Kriya with blessings of Guru Lineage, without most other fancy things that some persons might have imagined. And this should be sufficient for all persons who are after Kriya Yoga Sadhana infused spiritual life. Your First Step should be to contact us by email or phone. Then, you can ask for some books, get introduced with Raj Yoga Kriya Yoga Mission and show your sincere interest in Kriya Yoga. You will be given Cellphone of Guruji Dr. Sudhin Ray and advised to call him only during 10-11 am and 5.30 to 7.30 pm, Indian Standard Time. It is believed that you will respect the privacy. Only after explicit confirmation over phone or email, you should make plan for your visit. After this confirmation, you will be provided address, guidance to arrive here and contact details of persons who you could seek guidance regarding your travel. You can reach Kolkata / Howarh through many trains or by air. Then, you can book a cab and arrive at the exact location that will be provided to you. The distance from Netaji Subhash Chandra Bose Airport is about 15-16 km and it can take somewhere 40-50 minutes to reach Uttarpara from there. Accommodation: It can optionally be provided or arranged near Uttarpara for a small number of persons and should be confirmed prior to your arrival. Alternatively, you can stay in some hotel or lodge near the famous Dakshineshwar Kali Temple. Duration: You can plan for at least 2 days. The initiation and explanation of Kriya techniques will be complete in morning hours. Many persons do arrive in Kolkata on Saturday and leave on Sunday evening. You can be comfortable as per the availability of time. Our advice is that you come on Friday evening or Saturday morning and plan to leave on Sunday evening. You can meet Gurudev personally before Kriya on Friday. On Saturday, you can join the Gita Sabha – personal interaction with Guruji and other disciples discussing Bhagavad Gita in the evening.